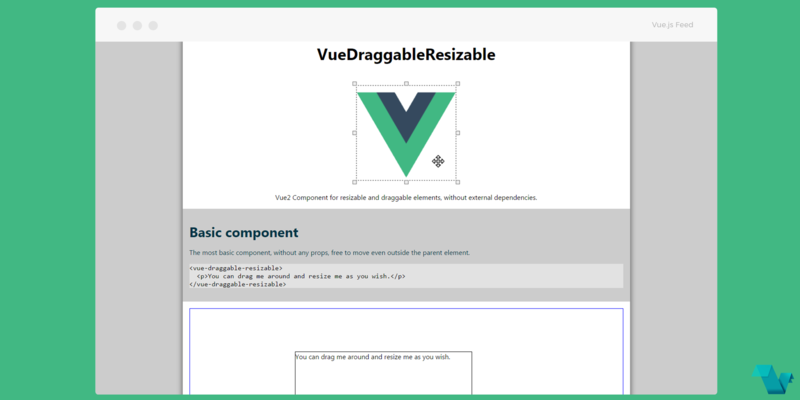 A lightweight plugin to create resizable and draggable elements, with many options available, based on the following features. Go to the live demo page to get a glimpse of how things work. Setting :parent="true restricts the movement and the dimensions of the element to the parent. And that is it! If you are looking for more head to the plugin's repository and take a look at all the available props and gotchas.